Thank you for showing your builds! Very impressive! I've finally made templates for the four panels that makes up the hull. I've used the templates to get the correct shape on the panels that I've glued. The tiny dark dots that you see are excess epoxy that is squeezed out through the small holes and then get trapped by the breather cloth. After 36 hours under vacuum, I cut the bag and found a laminate of very high quality - I'm very happy with the result! 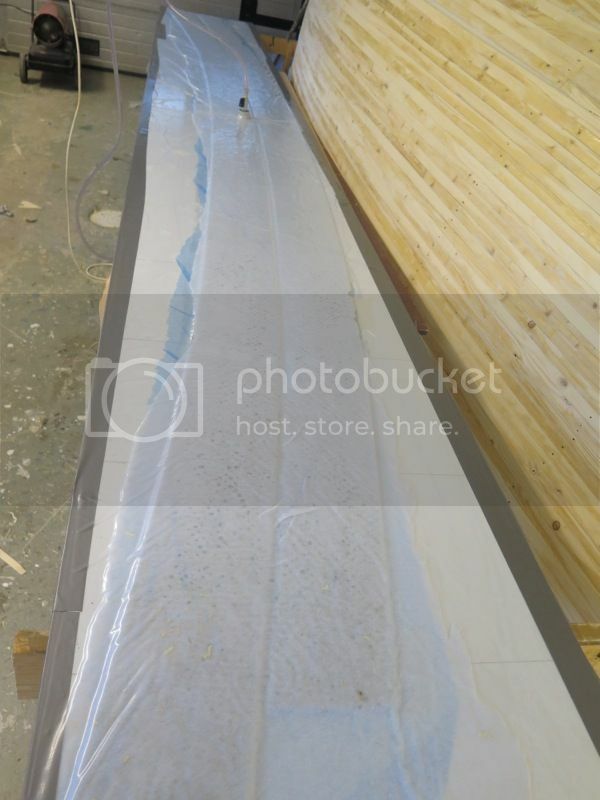 Why vacuum bagging the flat panel? 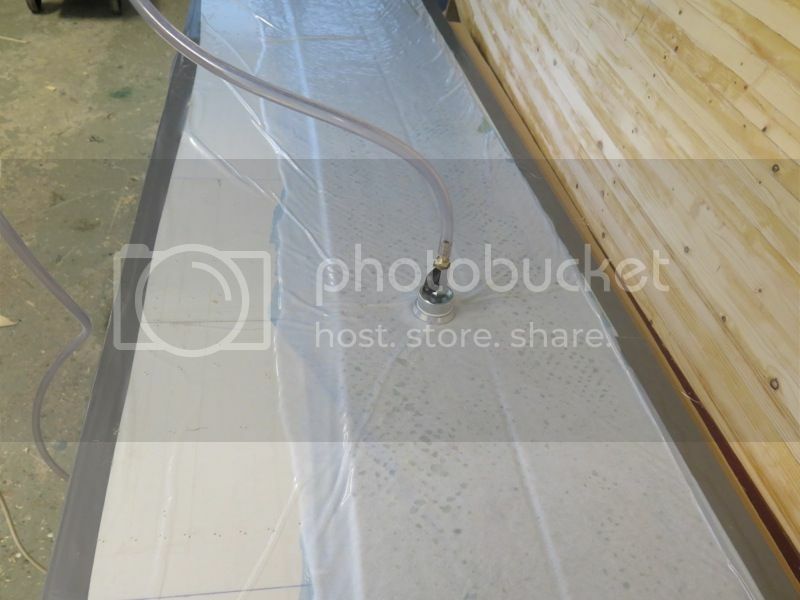 The idea is to vacuumbag all panels on one side and put the bagged glass on the inside of the hull. The panel is so thin that I suspect it would collapse without the structural support of the bench. Not the most fancy way to do it but one benefit is that this way, I can build the hull using the conventional approach where the internal structure defines the shape.